Strong, insertable tab indexes resist tearing because of the plastic reinforcement made of clear Mylar on the binding edge. Buff index material provides needed body to turn the contents. 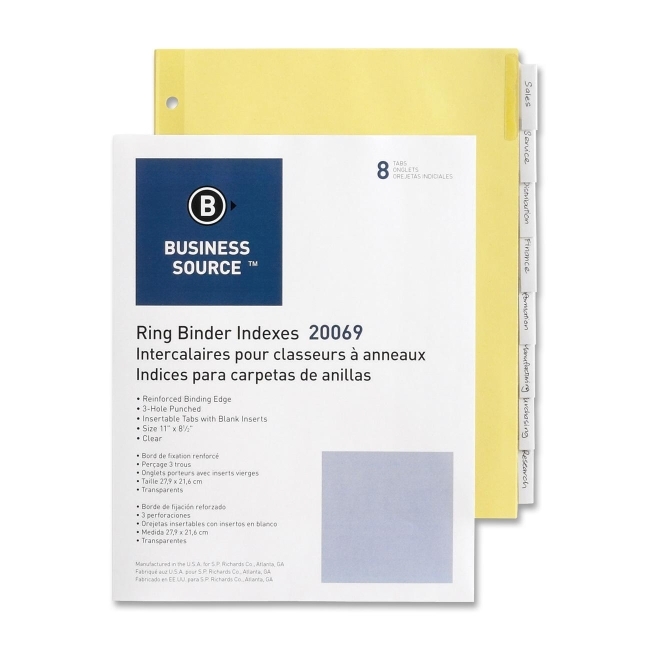 Three-hole punched design inserts fit easily into standard-size binders. Included index inserts for the subject tabs come on a strip and are scored for easy separation. 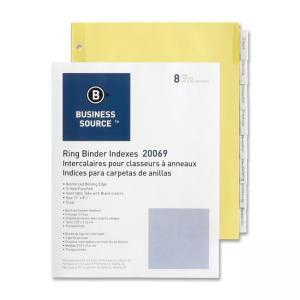 Ring binder indexes are made of 28 lb. stock with 30 percent post-consumer recycled material.